What a week it has been for the CRG TEC team. 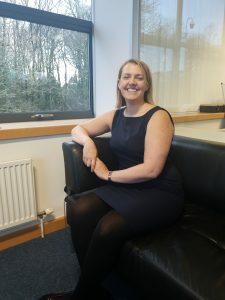 On Thursday, the company launched a brand-new website to coincide with the arrival of Deborah Coburn, who will head up their brand-new Software Development Division. This was a momentous day for the team and a great way to start 2019. 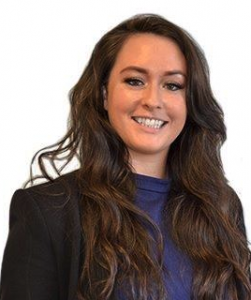 This week’s employee in the spotlight is CRG TEC’s Senior Recruitment Consultant, Alex Hewitt. Started with TEC in April last year so a little over 8 months but I’ve worked in recruitment with Neil, Stephen and Liam for the past 8 years. I head up the Facilities Management division over here so most of my time is spent developing and managing relationships with clients, finding people to fill their jobs and coaching those people through the application process to make sure they get the role at the end of it. So in essence it’s 25% sales person, 25% interrogator, 10% agony aunt, 25% life coach, 15% cheerleader. What is your favourite place you have visited? Before starting in recruitment I spent a year travelling all over the world; Eastern and Southern Africa, Australasia and the Pacific Islands so got to see some amazing places then. I went back to Australia a few months ago and was lucky enough to stay on Hamilton Island by the Great Barrier Reef – awesome beaches, the Reef, scuba diving, sailing, swimming with turtles – it had it all so that’s definitely my favourite place at the minute. Considering I can never remember how old I am anyway this is a tricky one! Life’s pretty good right now though with lots of adventures on the horizon so let’s go with my age now (31 in case you’re curious). Read Michelle Obama’s autobiography over Christmas and she’s got a great story to tell so I’d like to sit down over a drink and chat about that – all the stuff that didn’t make the final edit. Never ventured West but Canada looks amazing and I could do with brushing up on my skiing so I’d say specifically Whistler. Closer to home Italy is definitely on the list – never come across an Italian food (or wine!) I didn’t like. What’s your favourite sandwich and why? Post-Christmas club sandwiches are the best thing ever, probably one of my favourite foods. If you can’t put in entire Christmas dinner onto a sandwich with lettuce, tomato and cucumber (to be healthy) you’re not doing it right.